You are here: Home / Penumbra Inc.
Penumbra (NYSE:PEN) saw its revenue jump more than 25% year-over-year in the fourth quarter, but earnings were down for the Alameda, Calif.–based maker of devices to treat neuro and peripheral vascular conditions. Alameda, Calif.-based Penumbra’s stock is down about $15.57 per share, or 10.6%, to $131.25 as of midday trading. The company reported yesterday evening that it earned $6.7 million, or 18 cents per share, for the quarter ended Dec. 31, down from $9.1 million, or 25 cents per share, for the same quarter a year before. Revenue was $120.8 million, up 25.8% year-over-year. Analysts polled by Yahoo! Finance had expected fourth-quarter profits of 12 cents per share off nearly $115 million in revenue. “In the fourth quarter, we saw our strongest sequential revenue growth of the year, which resulted in strong year over year growth against difficult fourth quarter comparisons, particularly in our neuro and international markets,” Penumbra CEO Adam Elsesser said in a news release. The post Penumbra revenue up but earnings down in Q4 appeared first on MassDevice. 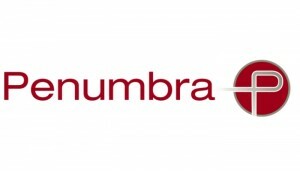 Penumbra (NYSE:PEN) late last month released results from the Compass trial of its aspiration thrombectomy system designed to treat acute ischemic stroke, touting that the system was shown to be non-inferior to stent retrievers. Results from the trial were presented at the International Stroke Conference, the Alameda, Calif.-based company said. Investigators in the trial aimed to compare the use of Penumbra’s aspiration thrombectomy system, which uses a suction to remove clots, against traditional stent retrievers in treating patients with acute ischemic stroke. Results from the study indicated 52% of patients treated with the Penumbra aspiration system achieved the primary endpoint of a modified Rankin Score of 0 to 2 within 90 days compared to 49% of patients treated with stent retrievers. “The primary outcome was demonstrating non-inferiority in clinical outcome between the patients, and it’s the first trial designed specifically to access clinical outcome in non-inferiority between these two cohorts. The results demonstrate clearly non-inferior outcomes, with 52% of the aspiration first cohort achieving independence and 49% of the second cohort demonstrating independence, and the persistence of non-inferiority was consistent across multiple sensitivity analyses,” lead investigator Dr. J. Mocco of the Icahn School of Medicine at Mount Sinai told MassDevice.com in an interview. Final revascularization rates were similar between both cohorts, with 92% of patients treated with Penumbra’s aspiration system achieving mTICI 2b-3 revascularization versus 89% of the stent retriever cohort. A total 38% of patients in the aspiration arm achieved TICI 3, versus 29% of patients in the stent retriever arm. Secondary safety points, including embolization in new territory and symptomatic intracranial hemorrhage were not statistically different between cohorts. The results are bigger than just non-inferiority to Dr. Mocco, who said he’s hopeful that these results, along with other studies on thrombectomy systems, will increase the likelihood and availability of such procedures to patients who desperately need them. “There’s a tremendous amount to still be learned, both in the approach and technical components of thrombectomy, as well as in patient selection, and that’s most importantly in patient access. What I hope is that, with Compass, the conversation can move beyond an over-emphasis of a specific technology versus another and allow the community to focus on these incredibly important issues of patient selection and patient access. Right now, approximately 10% of patients that could benefit from thrombectomy have a shot at getting thrombectomy. So, there is clearly a dire need for us to prove our ability to get patients these important therapies, and it’s better if Compass’ results help to step along that path – that’d certainly be a tremendous win,” Dr. Mocco said. The data also reinforced previous results from Penumbra trials of the aspiration system, the company said, and serves as the first in three randomized trials using the Ace 68 reperfusion catheter with the Penumbra system. “The Compass Trial, together with the Promise, Aster, and 3D Trial results, provides overwhelming evidence that the Adapt technique with the Penumbra System is a proven frontline approach. Notwithstanding this great data, Penumbra will continue to innovate and improve its Penumbra System; however, all of us in the stroke field now have an obligation to ensure all ischemic stroke patients have access to hospitals that offer mechanical thrombectomy for the best possible outcomes,” chair, CEO & prez Adam Elsesser said in a press release. Earlier in January, Penumbra released results from the Promise real-world safety and efficacy study of its Penumbra System with ACE 68 and 64 reperfusion catheters as a treatment for patients with acute ischemic stroke, touting high rates of revascularization and low rates of all-cause mortality. Penumbra (NYSE:PEN) today released results from the Promise real-world safety and efficacy study of its Penumbra System with ACE 68 and 64 reperfusion catheters as a treatment for patients with acute ischemic stroke, touting high rates of revascularization and low rates of all-cause mortality. Results were presented at the International Stroke Conference this week in Los Angeles. “We thank the Promise investigators for this important contribution to the growing body of global evidence supporting Adapt as a frontline approach for patients with acute ischemic stroke. The Promise study affirms our belief that the Penumbra System with ACE68 offers a rapid, safe and cost-effective approach for ischemic stroke revascularization,” prez & CEO Adam Elsesser said in a prepared statement. Data was collected from 204 patients at 20 European centers being treated with the Adapt approach utilizing the Penumbra System for acute ischemic stroke, the Alameda, Calif.-based company said. Results from the study indicated that 93.1% of patients treated with the system achieved core-lab adjudicated mTICI 2b-3 revascularization, while 39.2% of patients achieved mTICI 3 revascularization. Data also indicated that clinical independence as measured by the modified Rankin Score was attained in 61% of patients at 90 days, Penumbra said. All-cause mortality at 90 days was reported at 7.5%, while symptomatic intracranial hemorrhage rates at one day was 2.9%. Embolization in new territories waas reported at 1.5%, while median procedure time was 31 minutes. “Adapt as a frontline approach demonstrated excellent results – both in revascularization rates and clinical outcomes. In addition, the low mortality rate and strong safety profile indicate that stroke revascularization with aspiration is safer and more effective with ACE68 and ACE64 than ever before,” Dr. Peter Schramm of Lubeck, Germany’s Universitatsklinikum Schleswig-Holstein said in a press release. Earlier this month, Penumbra said it inked a deal with Sixense Enterprises to launch the new virtual reality healthcare joint venture MVI Health.